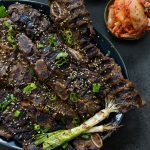 These Paleo Grilled Short Ribs are an inspired version one of my absolute favourite Korean dishes, LA Galbi. 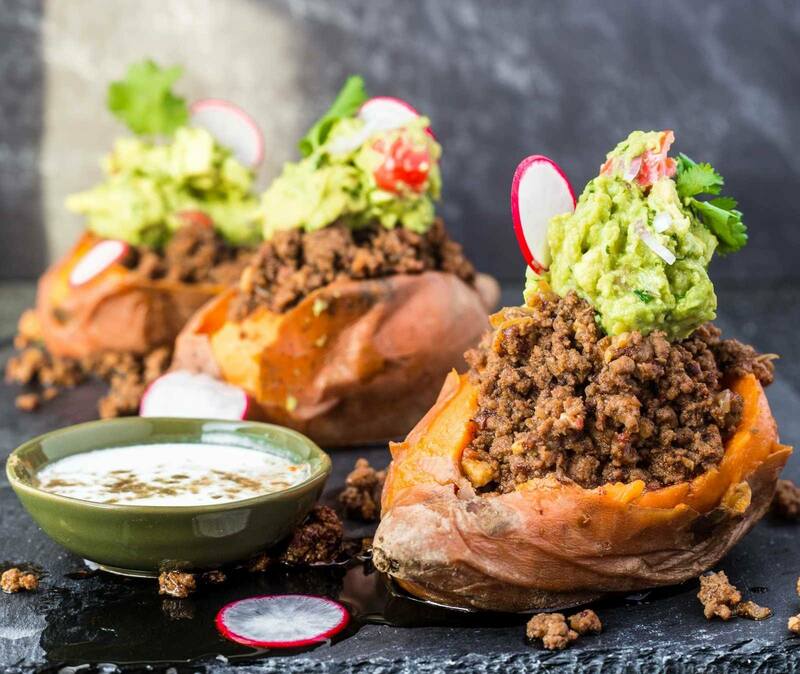 They’re dead-simple, best prepared ahead of time and take only a few minutes to cook. In fact, thanks to the TFal OptiGrill Smart, they go from grill to plate even quicker because the OptiGrill cooks both sides at the same time! Not to mention the fact that it allows you to grill in the comfort of your kitchen, even in the winter! Growing up and living in Toronto, I had, and still have, access to an abundance of amazing Korean restaurants (and winters)! Koreatown, which runs between Bathurst and Christie on Bloor St, has about 20 Korean restaurants in a span of one block. Closer to where I grew up in North York, there’s a stretch of Yonge St that is known as Koreatown North, equally packed with amazing Korean restaurants. Some are even open 24hrs, which was pretty clutch back in my bar-hopping days. Aside from some of the Tofu houses, most of the Korean restaurants serve an LA Galbi. Thin, cross-cut, marinated short ribs that are grilled to perfection, oftentimes right on the table. 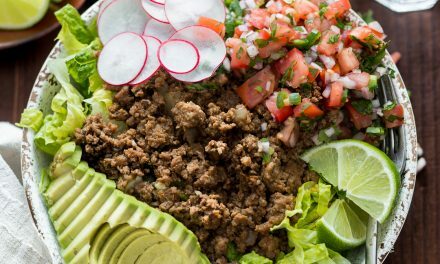 They’re often served with bowls of steamed white rice, leaves of romaine lettuce, slices of raw garlic, and plenty of banchan (an assortment of Korean side dishes and pickles that accompany every meal). 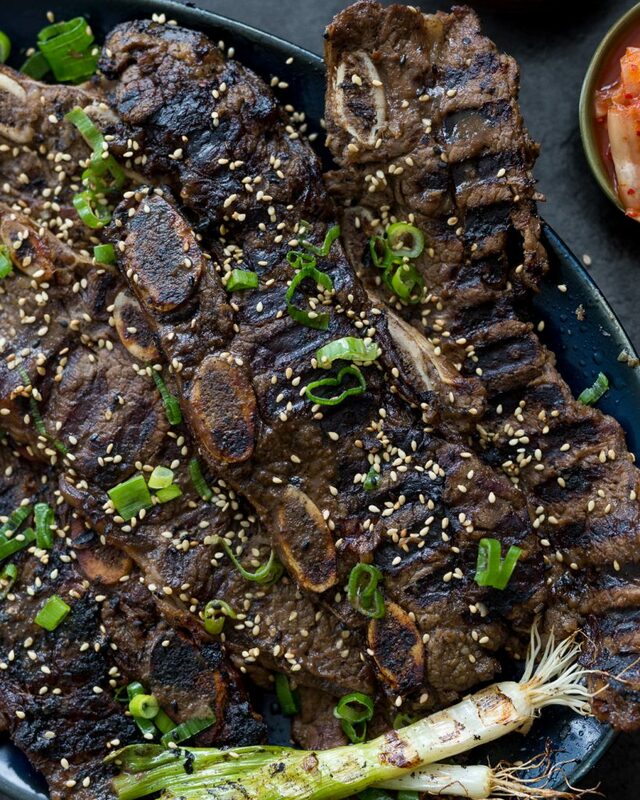 The word Galbi translates to ‘ribs’ in Korean and there are a variety of recipes that use this delicious cut of meat. Galbi jjim, for example, are braised, thick-cut short ribs that will knock your socks off. Aside: best galbi jjim in Toronto? Song Cooks at Yonge and Steeles, hands down! I’ve come across a few theories that attempt to explain the origin of LA Galbi and one that seems quite likely is that the ‘LA’ prefix was added after Korean immigrants developed this specific cut of short ribs in Los Angeles. 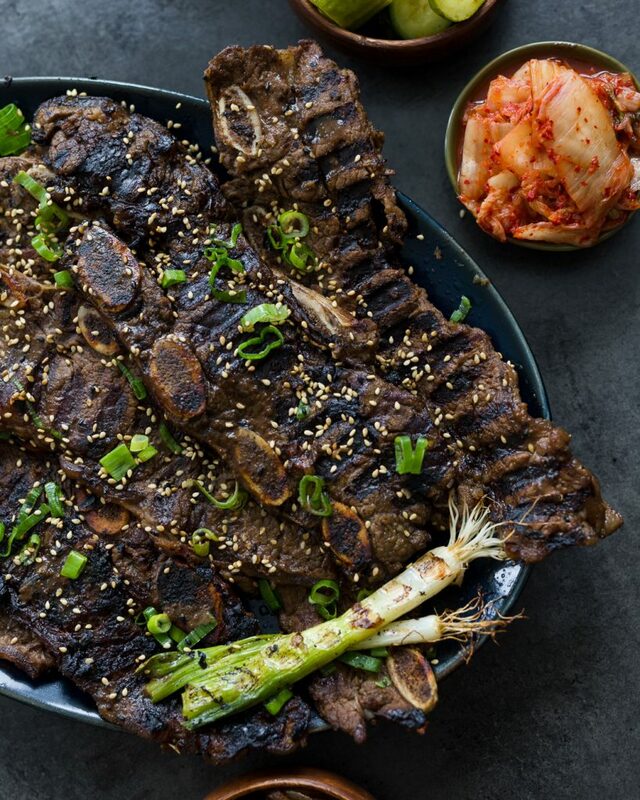 Unlike thicker, more traditional cuts of short rib, which run lateral to the bone, the LA Galbi are thinly sliced perpendicular to the bone for quick grilling. 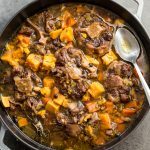 Luckily, this has since become a very popular cut of meat and can be found at a number of butcher shops and even big grocery stores. 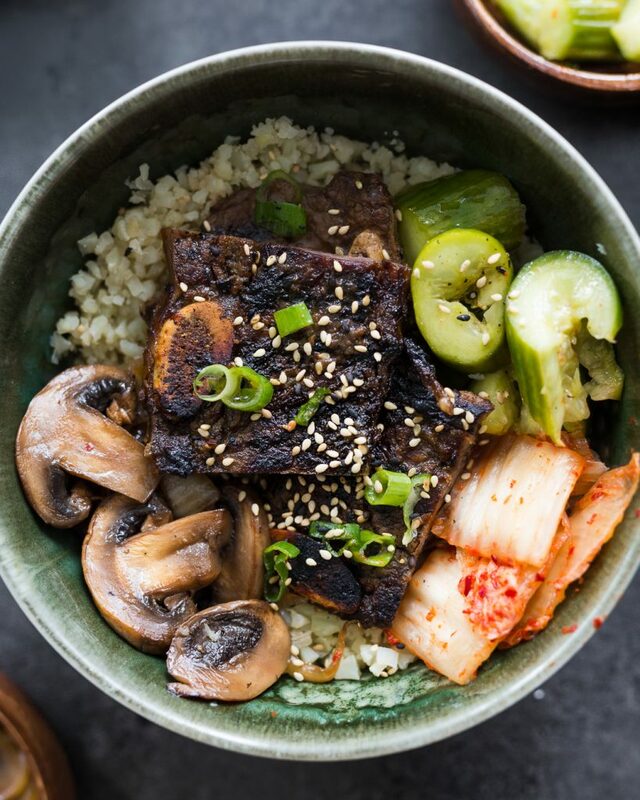 Most, if not all, of the Korean Grilled Short Ribs recipes I’ve encountered contain copious amounts of sugar, alcohol, soy or other foods that don’t sit well with me personally. So, I set out to develop my own recipe that incorporated the same delicious flavours I’ve come to love in my favourite Korean spots in Toronto, but without the unnecessary lethargy that comes after indulging. I should also note here that most Grilled Short Ribs recipes call for grated Asian or Bosc pears. These are excellent, delicious, healthy sources of sugars and I encourage you to experiment with these ingredients in your own cooking. However, I found them to be a bit too mild in sweetness and had a more consistent result with honey as the main sweetener in my marinade. Though perhaps not as complex or nuanced in flavour as some of my favourite versions (it’s hard to beat meat marinated in soju), I’m very happy to say that these Paleo Grilled Short Ribs come very close to the “originals” (heavy quotations since LA Galbi seems to be a transplant itself). Dare I say, they’re even better than some of the less-than-amazing ones I’ve eaten over the years? Bold statement, I know! Let the meat marinate overnight. Short ribs are a fatty cut and can stand up to just about any flavours you throw at them. 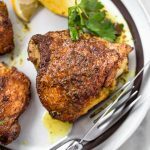 Thankfully, the marinade is so unbelievably easy and comes together quickly so you can get on with the rest of the day. Moisture is the enemy. Be sure to pat the ribs dry before grilling or they will steam in their own juices. 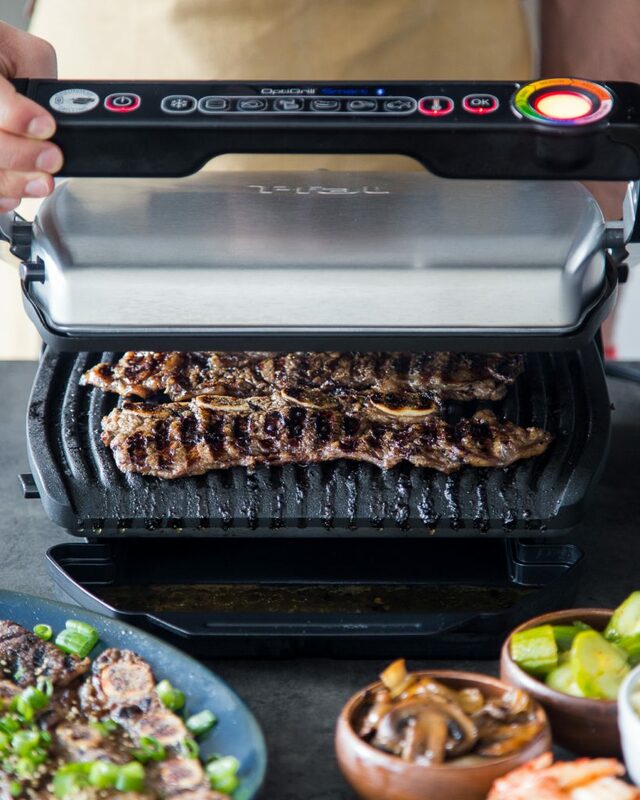 The Tfal OptiGrill Smart has deep, sloped grooves that allow you to achieve picture-perfect grill marks while simultaneously channeling moisture away from the food. Both are very important in this recipe! Grill them hard and fast. In other words, you want to crank up the heat to full blast to get an amazing crust on the meat without overcooking the inside. Here again, the Tfal OptiGrill Smart is great because the grill cooks both sides at once and maintains an even and high heat. 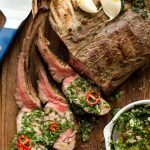 I hope you enjoy this recipe for Paleo Grilled Short Ribs as much as I do! 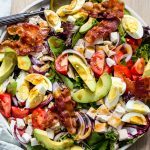 *This recipe was developed in partnership with TFal Canada. All opinions and thoughts expressed are the author’s alone. 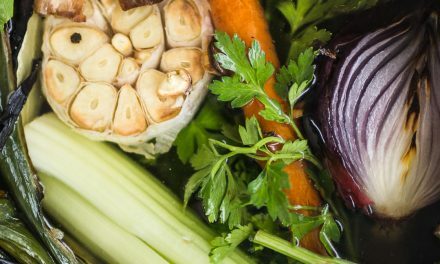 In a large mixing bowl, add all ingredients except the short ribs and salt. Whisk until thoroughly combined. Add seasoned short ribs to a large, zip-top bag and pour in the marinade. Seal the bag and massage the marinade all over the meat. Open a corner of the seal, squeeze out all the air, then close the bag. 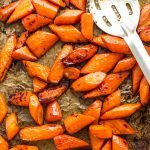 Place bag on a tray or plate and refrigerate overnight or at least 4 hours. When ready to grill, remove ribs from marinade and place on a tray lined with paper towel. Pat very dry with paper towel. Transfer reserved marinade to a small stockpot. Add ½ cup of water and cook over med-low heat until reduced by half. Transfer reduced sauce to a serving bowl and set aside. Preheat the OptiGrill Smart using the steak pre-set. Grill ribs in batches, with lid closed, approximately 4 minutes or until the pre-set cooking mode time has elapsed. 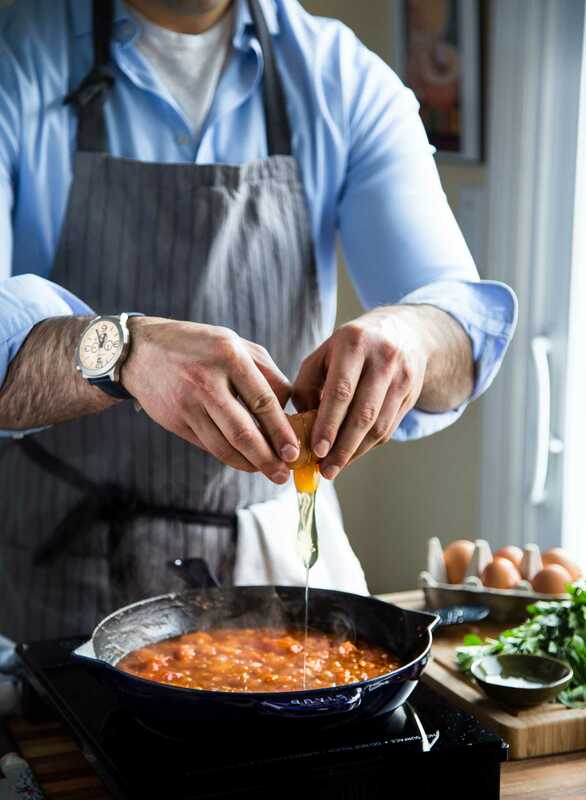 Tip: as the meat cooks, it will reduce in size. For perfect grill marks, alternate stacking the ribs one atop the other to achieve direct contact with the grates (see @primal_gourmet Instagram Stories for demonstration). Transfer grilled ribs to a serving platter and brush one side with reduced sauce. Garnish with sesame seeds and thinly sliced green onion. 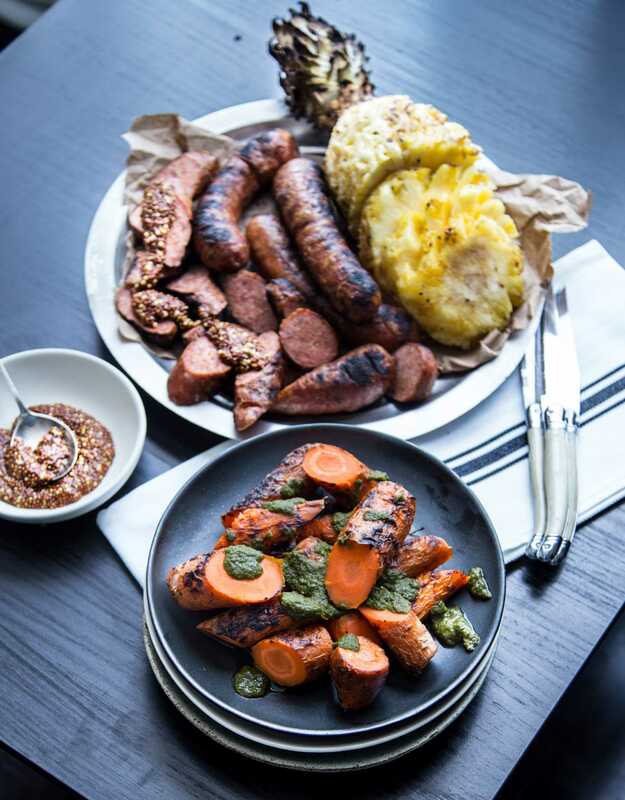 Serve with cauliflower rice and an assortment of side dishes, such as kimchi, sautéed mushrooms, and Korean pickles.